WaysSouth traces its roots back to a number of small, community-specific groups that formed throughout the Southern Appalachians in early 2005. Area residents learned of a proposal by Representatives Charlie Norwood and Max Burns to blaze a new, four-lane superhighway from Savannah, Georgia, to Oak Ridge, Tennessee. Officially known as the 3rd Infantry Division Highway, the road’s name was shortened to Interstate 3. Resenting the proposed intrusion into their mountain homeland, concerned citizens held informal meetings in backyards and over barbecue grills. Folks gradually began to come together into what became known as the Stop I-3 Coalition. The Stop I-3 Coalition gained momentum early, as several county commissions passed resolutions voicing opposition to Interstate 3, and hired Holly Demuth as the Coalition’s first executive director in March 2007. Later that year, with Rep. Norwoods death, Interstate 3 largely became dormant as it ground its way through the Federal bureaucracy. In the interim, another highway project, Corridor K, gained traction as the North Carolina and Tennessee Departments of Transportation began the planning process for proposals to complete a four-lane highway connecting Asheville and Chattanooga. Then, Interstate 3 again gained press as politicians discussed the possibility of routing it through South Carolina instead of north Georgia. Executive Director Demuth and the Board of Directors realized the opposition to Corridor K and Interstate 3 required leadership at an organized, professional, regional level. Therefore, in 2008, they made the decision to broaden the scope of the Coalition’s work to include more extensive advocacy for responsible transportation in Southern Appalachia (i.e., being more than simply against I-3). A new name, WaysSouth, along with new logos, mission statement, and goals followed shortly after the decision to expand the organization. WaysSouth formed task forces on rail in the Southern Appalachians and the expansion of Highway 441 in Rabun County, Georgia, and earned a seat on the Expert Working Group to provide input as the only environmental organization to provide recommendations on the future of Interstate 3. We are so proud to say that together we won that battle  Interstate 3 is truly STOPPED. But more work remains to be done. Corridor K in Tennessee and North Carolina, as of 2018, each have experienced agency non-concurrence. Both states are working to resolve the non-concurrence and get the projects moving again. The next several years will be critical for Corridor K. WaysSouth continues to solidify its role as the leading voice advocating for thoughtful transportation planning that respects the natural and cultural heritage of the Southern Appalachians. We have more highways than we can maintain, and we have more highways planned than we can afford. 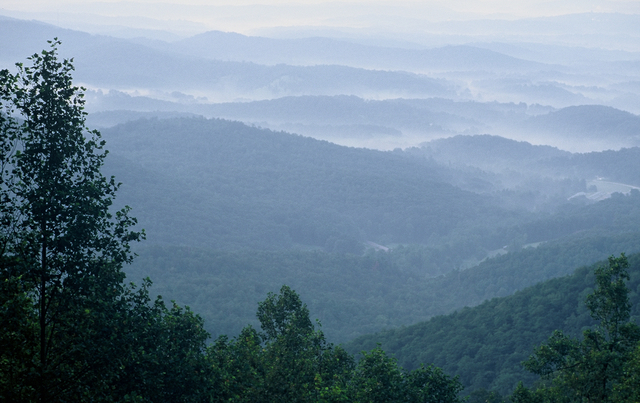 Destroying our fragile and wonderful wilderness and forests, upon which our tourism industries depend, isnt what the twenty-first century Appalachia needs.